I also used the Simply Charmed and Art Philosophy Cricut carts, and Berry Red Trendy Twine. 100 days of School ! Yes its already the 100th day of school on the Thursday. My daughter Lily who is 6 had to make a project with 100 items on a board. Since she has her own Cricut she was of course excited to make her own thing. She came up with a Breakfast concept to have bowls of cereal. I helped her find the images and figure out the size to make them. Other than that she cut it, glued it and stamped adorable Peachy Keen faces on the bowls. 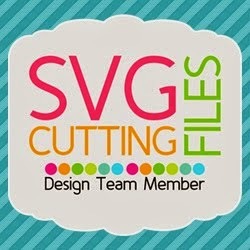 This was cut with a Silhouette SVG, I then added a oval in the top to cut out to create a spot for the tissue. I used the Jaded Blossom stamp set's, Valentine Treats and Love Bites. 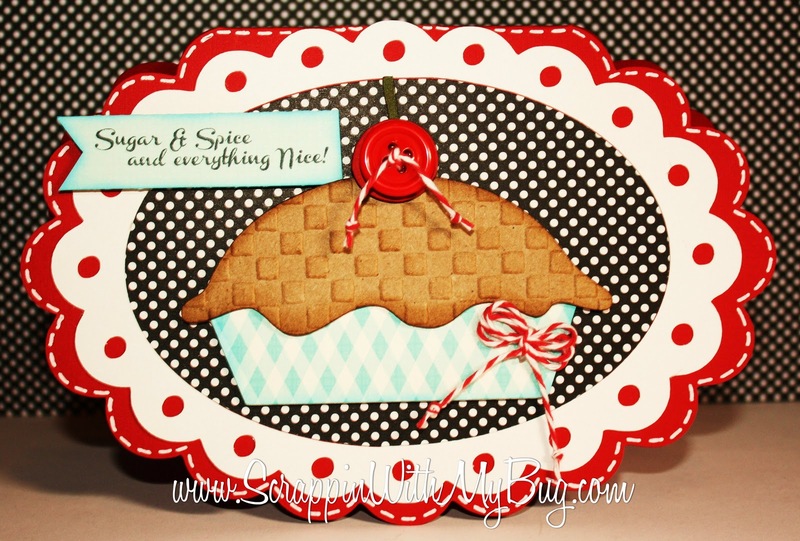 Angelica's Birthday Blog Hop !!! First I'd like to say HAPPY BIRTHDAY to Angelica !!!! I created a shape card. This card is 6 1/4" tall and 8 1/2" wide. I used the big face stamp from Peachy Keen PKK-06 and Everyday Paper dolls and George and Basic shapes to create the card. The inside of the card is lined with pink cardstock as well. Thanks for helping us celebrate Angelicas birthday !!!! 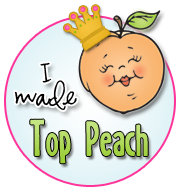 Today is a new challenge over at Peachy Keen! I have created a Sweetheart candies holder! I used of course my Cornie Peachy Keen face! Along with the Art Philosophy and Simply Scarecrow cartridges. I also used some yummy Trendy Twine, various flowers, jewels and a stick pin. Thanks to everyone who stopped by to help us launch Jaded Blossom !!! Jaded Blossom Launch and Blog Hop !! I ♥ that this release can be used for party favors, cards, layouts AND that the circles fit a 1 3/4" punch no special die required! This first favor I created is using the NEW wand candy tubes and the stamp set Sweet Celebration. I also used my Cricut and some yummy Trendy Twine. Another treat is big 3 1/2" gummy candy. I just cutened it up with a tag that I embossed using the Valentine Treat set, the Sweet Celebration set, and some Trendy twine. Candace and I thank you so much for visiting us and supporting us in this fun new venture! Peachy Keen Linky Party ! This is my FIRST post for Peachy Keen !!! So excited!! Instead of a challenge this week they want you to link ANY new project you make with Peachy Keen Stamps of course! The DT all used the new Stamp of the Month kit !! I think it is awesome because you can use ANY face inside the images! Loving my Cherry Cupcake Twine! My hubby bought me a Cameo for Christmas so I was so excited to make my first cut with it......OH don't worry this doesn't mean I'm gonna stop using my Cricut's! LOL !!! I just wanted more options is all. 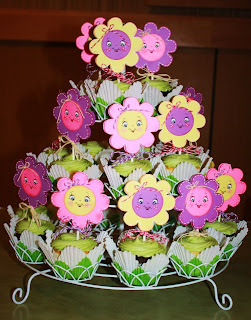 I created a 3d cupcake and used super yummy Cherry Cupcake Trendy Twine, and Twisted Lime Trendy Twine......along with a "sneak" of tomorrows release by Jaded Blossom !!! Happy Anniversary Mom & Dad !!!! Today is my parents 50th Anniversary ! WOW I know right??? I wanted to share with you a bunch of pics of things I made for them ♥ And a video of how you can make these easy Rosettes !! Here's the Banner using Birthday Bash, Hannah Montana Cricut carts and trim from Pro 31 Designs. I used Nursery Rhymes for the "50" and Art Philosophy for the sign. 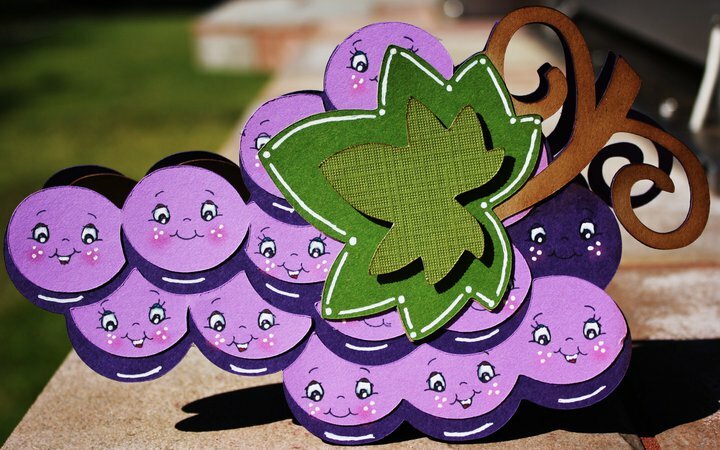 This is a card my 6 year old daughter made with the Rosette I make in the video below! Here's video you have asked for !! Hope you enjoy !!! 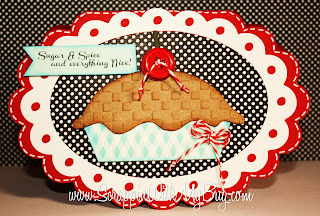 Since I came into this Awesome crafty world and saw Peachy Keen Stamps I have been in LOVE !!! My DREAM company to design for, and well my dream has come true !!!!!!!!!!!! I'm over the moon ecstatic !! If you've never seen their stamps before you are truly missing out. Thanks for sharing in this exciting news with me !!!! Treats for a Sweetheart ! YES that is the challenge this month over at Trendy Twine!!! Make a little something for your Valentine !!! Im so excited to make my first official DT post for them I LOVE this twine !!!! I used their NEW Cherry Cupcake twine. I also used the Art Philosophy Cricut cartridge and a "Sneak" of a new Jaded Blossom stamp set being released on January 13th !!! !